My passion for teaching and learning is life long. I strive to better understand different learning styles, strengths and weaknesses, and the impact environment has on how we all learn. In 1995, I graduated from Vanderbilt University, Peabody College of Teachers, with a B.S. in both Special Education and Elementary Education. I earned my Master’s Degree in Curriculum and Instruction. In 2010, I earned a Specialist Degree in Brain Based Teaching with a concentration in Instructional Leadership. 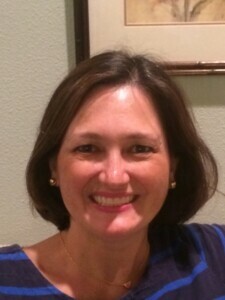 In 2016, I was accepted by the Association of Educational Therapists as a professional educational therapist, which combines educational and therapeutic approaches for evaluation, remediation, case management, and communication/advocacy on behalf of children, adolescents, and adults with learning disabilities or learning problems. I implemented my love of teaching in a classroom setting for over 20 years. In 2010, I founded Engage the Brain, a company that provides academic intervention and school support for students and families. I am passionate about how we all learn differently. I enjoy creating strategies and plans for students to discover their own personal potential. I continue to attend the latest conferences on learning and the brain, academic strategies and research, and learning disabilities. I am also trained in various research-based learning methods, including Lindamood-Bell Processes, Handwriting Without Tears, and TouchMath. I am a Florida and Tennessee state Certified Teacher in the areas of Elementary Education, Special Education including Learning Disabilities, and Emotional/Behavioral Education.